German Marshall Fund of the United States, 1744 R Street, NW, Washington, D.C. 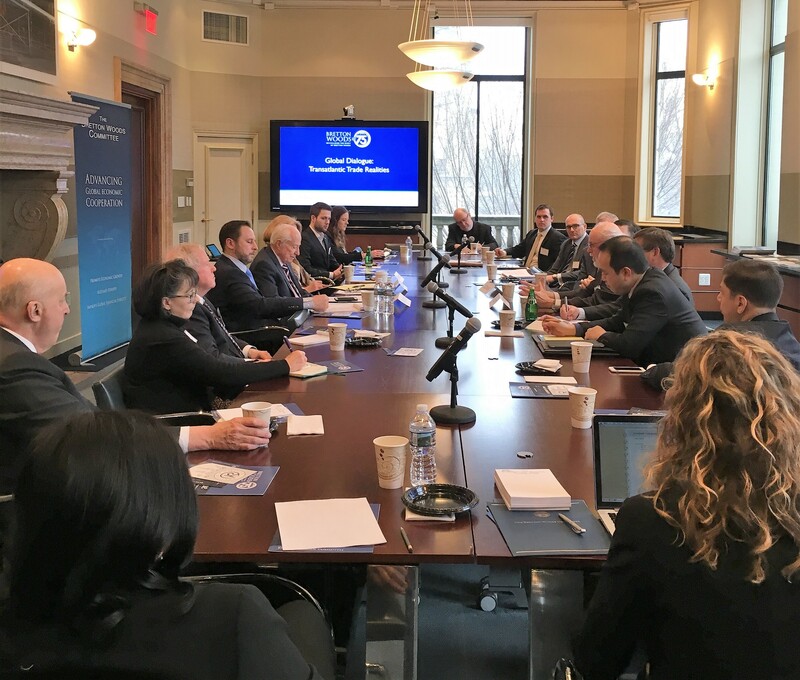 Please join us for an informal and off-the-record roundtable discussion on future global trade prospects and realities, moderated by Bretton Woods Committee Co-Chair Jim Kolbe. We will discuss the state of trade on both sides of the Atlantic and implications for the future of multilateral trade relationships and the global trading system. This event is part of our Bretton Woods@75 series of dialogues to gather forward-looking perspectives on issues impacting the Bretton Woods architecture, institutions, and Committee. We will also share our 2019 plans for Bretton Woods@75 and how you can be involved and supportive. This is a critical year – and moment in history – for the future of multilateralism, and we are galvanizing a momentous response through Bretton Woods@75. We hope you can join us for this event or at a future Bretton Woods@75 discussion.